In February 2014, the Junior League of London pioneered the Little Black Dress Initiative (LBDI) with the goal to “Make Poverty Unfashionable.” While their fellow Londoners were attending London Fashion Week that month, local Junior Leaguers were wearing the same black dress every day to work, parties, dinners, and events to raise funds and increase awareness of poverty in the city. The first campaign was so successful that they decided to take the initiative worldwide. Now in it’s third year, the JLA’s LBDI is an advocacy campaign that seeks to raise community awareness on the issue of generational poverty in Georgia. Roughly 29% of Georgia’s 12th District children and 23% of working age women are living below the poverty line. Growing up in poverty is one of the greatest threats to healthy child development and poverty and financial stress can impede a child’s cognitive development and their ability to learn. During the week of February 5-9, 2018, several LBDI Advocates will wear the same black outfit for five consecutive days to illustrate the effects poverty can have on women and children, their success and access to resources. Proceeds will directly benefit the efforts of ReStart Augusta to provide beds to children and families who do not have furniture to sleep on and the community projects of the JLA, including the Foundations program designed to equip women with the tools necessary to break the cycle of poverty. This is a public event; you do not have to be a member of the Junior League Augusta to participate. If you would like to participate in the campaign, please fill out the LBDI Participation Form. Perhaps wearing a black dress/outfit for five days isn’t possible for you, but you can still participate by donating to one of our LBDI Advocates who have pledged to raise awareness February 5-9, 2018. Other ways to help raise poverty awareness would be to spark a conversation regarding these matters, share a statistic to your social media accounts (be sure to tag #theLBDI), or clean out your closets and donate business and business casual clothing to your local shelter. 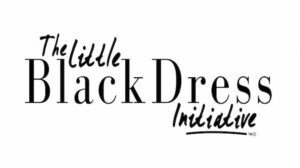 The Little Black Dress Initiative is not just about a week wearing a black dress. It is about harnessing the power of our community to make a difference. The Junior Leagues of Georgia each work to improve their communities. For more information, please contact LBDI@jlaugusta.org.